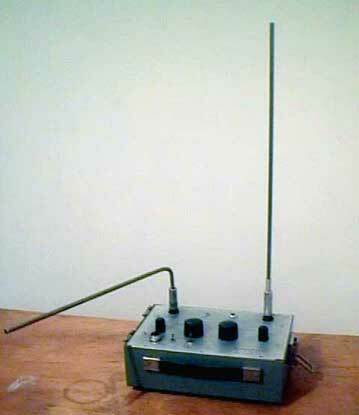 The Thereminator1 is based on the TECI 67/74, sligthly modified. 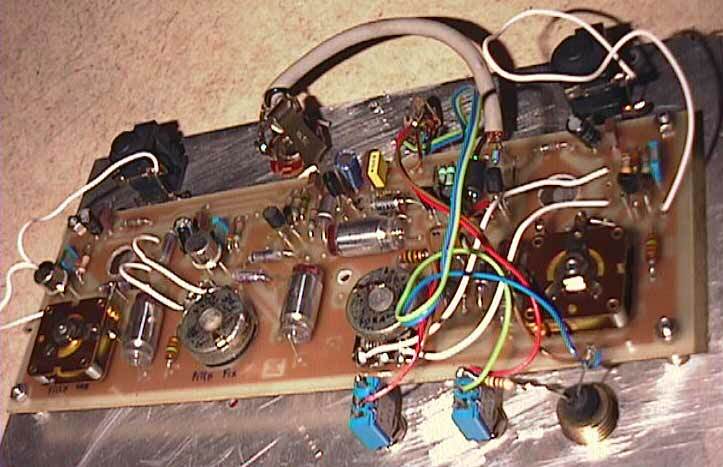 This schematic come from the "Popular Electronic" article published in 1967.I have replaced all transistors and fets by common european references, the TIS58 is now a BF245... It is a discrete solution. I have used two big air variable capacitors instead of usual miniatures ones.They are for coarse tuning, 2 big buttons on in the middle of the front panel. Small knobs, on each sides, are for fine tuning. The power supply voltages is a clean +9V DC, a battery will work well too. Antenas are made with 2 bars of plain steel mounted on isolated jacks.The audio output level of the Thereminator1 is very very low ! It require a good guitar amp or a quiet mic/line preamp to drive it....Bandwidth is around 80..100Hz to more than 20kHz. The thing will not work at first time. 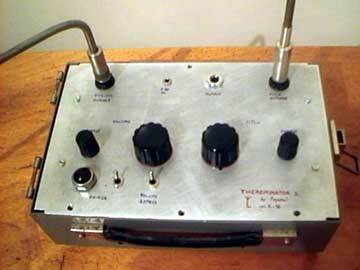 It seems to be usual for theremin builders.. The thing drift "a little bit" with the variations of temperature and certainly some other factors..